Now that the Breckenridge real estate market is quickly improving, it makes sense that more buyers and sellers will start entering the market. As a Realtor in Breckenridge, it’s always exciting to see new families look for homes in Summit County, and I love seeing so many people eager to buy or sell property in this wonderful community. However, I also know there can be many challenges when it comes to getting a home loan. Whether you want to purchase your first home, purchase an additional home or you’re refinancing an existing mortgage, a lender may not agree to the terms you have to offer. That’s why in this blog, I want to concentrate on tips that can help you improve your chances of obtaining the home loan that you need. In order to determine if you meet the criteria for a loan, lenders evaluate your payment history. 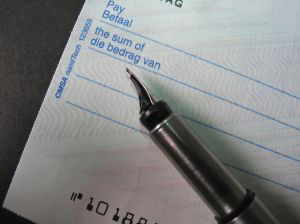 This means a bank will examine how well you’ve paid all of your accounts according to their due dates. By maintaining a low used credit to available credit ratio and sending more than the minimum payment required, a mortgage lender will view you in a better light. It’s a good idea to pay down your regular monthly accounts. Then your debt-to-income ratio will create a positive impression for lenders considering your loan application. These types of assets show that you have financial stability and that’s always a plus to banks. Therefore, make sure you reveal any assets that you have when applying for a loan. If you don’t have assets to your name, consider having your name added to the accounts if they are truly a part of your financial portfolio. In order to be prepared for a bank’s evaluation, start by getting a copy of your credit report. That way, you can fix any problems or errors before a lender has the opportunity to conclude you are not creditworthy. When you look at your credit report and your credit score, you’ll have a better idea of how a mortgage lender may regard your ability to pay back a loan. These steps will help you so that you can take a proactive role in improving your credit in certain key areas to attain a bank’s confidence. If you find any errors, communicate directly with each bureau to correct the mistakes. Banks like to see stability. Therefore, you’ll get high marks by maintaining a steady employment history. If you have invested 2 to 3 years with the same employer or at least in the same industry with an increase in salary over this period, banks will see that you are established and responsible. This is a great quality to have when applying for a home loan. Even though you need a mortgage to purchase your dream home, you should still have a savings. These days, it is smart to collect between 5 and 20 percent for your down payment and closing costs. If you don’t have anything in reserve at the moment, it would be wise to give yourself time to put some money aside. Owning a new home can be an adjustment if you’ve only rented in the past. There may be unexpected bills or maintenance. That’s why it’s always a good plan to set money aside to cover different costs so that your finances aren’t stretched thin after purchasing a home for the first time. There are a lot of things you can do to improve your chances of getting a home loan. If you’re planning on buying real estate in Breckenridge, start by check in on, and cleaning up your credit portfolio while you begin your search. You can start your research by browsing through the updated listings on my website and deciding what your ‘wants’, ‘needs’ and budget are. And when you’re ready to talk through your options or schedule showings, contact me at any time via email ([email protected]) or on my office line. I look forward to working with you!